Cullen♥. . HD Wallpaper and background images in the The Cullens club tagged: cullen family twilight edward jasper alice emmett rosalie carlisle esme. 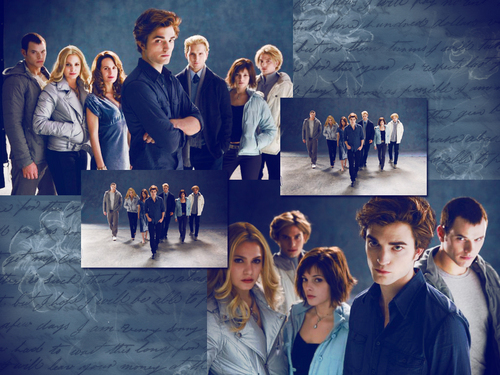 This The Cullens wallpaper contains संगीत कार्यक्रम. There might also be अच्छी तरह से तैयार व्यक्ति, सूट, पैंट सूट, pantsuit, पैंट्सट, अच्छी तरह से कपड़े पहने व्यक्ति, बिजनेस सूट, ज्ञानतीठ, पढ़ने डेस्क, लेक्शर्न, रीडिंग डेस्क, लगान ज्ञानतीठ, and पढ़ने के लिए डेस्क. Why is Edward always in the front???!!! He should move and let his hot father Carlisle be the one in the front,I mean he did start the Cullen family,so he deserves more respect then Edward and should be in the front instead of the less important Edward.I mean did Edward start the Cullen family,I think not,well yes he continued the Cullen family by making Renesmee and changing Bella,but without Carlilse their would be no Cullens,I mean Carlisle changed Edward,Esme,Rosaile,Emmett and Alice. So Edward should just move out of the way to let his for important can't live with out Carlisle,to be in the front.